“Transit Network Design: an Interactive Course” is designed to give anyone a grasp of how network design works, so that they can form more confident and resilient opinions about transit proposals. Any institution or organisation can sponsor the course. So far, it has been offered through universities, professional organisations, and transit authorities. Much professional training in transit will teach you about quantifying demand, understanding statistics about what transit achieves, studying the features of the various transit technologies, and seeing how transit relates to other goals for governments, individuals, and businesses. All that is valuable, but there’s a piece missing: Few people get hands-on experience working with transit as a tool, understanding how to use this tool to build a transit network. 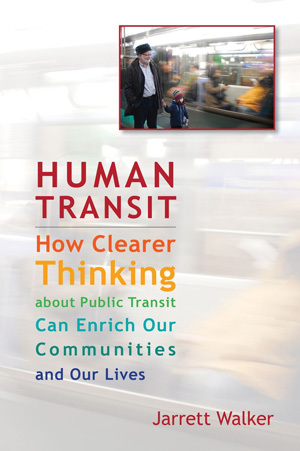 Learning to think creatively with these tools is the essence of transit planning. I believe in teaching transit planning the way you’d teach carpentry. A carpentry class might involve a lecture about the physical structure of wood and how to not kill yourself with a saw, but after that, you’ll only learn carpentry by doing it. The course is a built around a series of exercises where students work together to design transit networks for a fictional city, based on its geography and a set of cost limitations. The exercises let students learn the basic tools and materials by actually working with them to develop creative solutions to a series of planning problems. Issues covered include network design, frequency, right-of-way, basic operations costing, and interactions with urban form. This course is well suited for professionals, students, community leaders and local government staff. The course is done in intensive format covering one or two days. Longer versions can be developed on request. About 60% of class time is in interactive exercises, while most of the rest consists of group discussion based on the results of the interactive work. Simon Fraser University. Surrey, British Columbia. Two-day session marketed to the public as part of City Program (continuing education). June 2011. Licensed Professional Planners Association of Nova Scotia, in association with Halifax Regional Municipality and Dalhousie University. Halifax, Nova Scotia. One-day session marketed to mainly to municipal planning staffs. June 2011. TransLink (public transit agency). Vancouver, British Columbia. Two-day session for internal staff, mostly not transit planners but in adjacent fields including operations and marketing. June 2011. BC Transit (public transit agency). Victoria, British Columbia. Two-day session for internal staff, mostly not transit planners but in adjacent fields including operations and marketing. September 2011. Sound Transit (public transit agency). Seattle, Washington. One-day session for internal staff, mostly not transit planners but in adjacent fields including operations and marketing. December 2011. University of Technology, Sydney. Sydney, Australia. Two-day version for a mix of graduate students and professionals in land use planning and local government. March 2012 and again in October 2012. MAPA COG (regional planning agency). Omaha, Nebraska. One-day session of leading stakeholders of all kinds, in the context of the beginning of a regional transit planning effort. September 2012. If your organisation or institution is interested in offering the course, send me an email! You can find out more over at the firm site.